Hallucinogens: A Forensic Handbook, psychedelic mushrooms or magic mushrooms include a number of species of mushrooms that contain the active compound psilocybin. This compound is classified as a psychedelic drug or a member of the hallucinogenic drug class. Can You Die from Taking Too Many Psychedelic Shrooms? What Are the Long-Term Effects of Using Psychedelic Mushrooms? Psilocybin (N-dimethyltryptamine or 4-phosphoryloxy-N) is consumed from mushrooms that are typically dried and eaten, or they may be brewed into a tea. Overall, psilocybin is a very powerful hallucinogen that has been used for centuries. Certain Native American groups in the United States are still allowed to use psychedelic mushrooms in their religious services; however, psilocybin is classified as a Schedule I controlled substance according to the DEA (United States Drug Enforcement Administration). This indicates that the DEA views psilocybin as a drug that has no important medical uses. It is categorized as a drug that is highly prone to abuse, and it has the potential to induce psychological or physical dependence in individuals who use it. Thus, mushrooms containing psilocybin are generally considered to be illegal to possess except in special cases as listed above. Even though the DEA considers psilocybin to have no medicinal uses, there are number of investigations and research studies that suggest that there may be potential medicinal uses for the drug. The long-term effect of psilocybin abuse does not appear to be well researched or understood. Most sources report that there are few, if any, long-term detrimental effects associated with psilocybin use and that there are no recorded fatalities as a result of overdosing on psilocybin alone. Fatalities associated with psilocybin use or abuse are attributed to accidents or to the use of multiple drugs. Tolerance to hallucinogens does appear to occur; however, there is no known recognized withdrawal syndrome associated with psilocybin use. Therefore, despite the designation by the DEA, psilocybin is not a drug that appears to result in the development of physical dependence (displaying both tolerance and withdrawal). Nonetheless, the American Psychiatric Association presents diagnostic criteria for individuals who have developed a hallucinogen use disorder (either abuse of hallucinogens like psilocybin or potential addiction to them). Individuals who are unable to control their use of hallucinogen drugs and who have suffered negative consequences to them may develop a substance use disorder. The mechanism of positive reinforcement that occurs when a person associates reinforcing or rewarding effects with a specific type of behavior (e.g., feeling good as a result of using a drug): Individuals who have particularly salient personal rewarding experiences with drugs are more likely to repeat their use. Negative reinforcement: Negative reinforcement occurs when a person experiences a reduction of unpleasant sensations or feelings as a result of some behavior. Individuals may use drugs to deal with stress, as an escape, etc., and when an individual repeatedly experiences a reduction in unwanted feelings associated with some behavior, they are more likely to repeat that behavior (e.g., use of psilocybin). As a result of these psychological principles, certain individuals may be more prone to abusing drugs like psilocybin. Factors that may make individuals more prone to the effects of reinforcement include inherent or genetic factors, lifetime experiences, certain environmental conditions, and differences in metabolism or psychological makeup. The person believes that using psilocybin improves their performance or ability to cope. The person often uses the drug to deal with the pressures of everyday living. When the individual has not used the drug for a specific period of time, they may become irritable, restless, anxious, or depressed. The person romanticizes their drug use and minimizes the negative effects of using the drug. Despite experiencing negative ramifications associated with their psilocybin use, the individual continues to use the drug. The person repeatedly uses much more of the drug than they had intended to originally or uses it for longer periods of time than they originally intended to use it. The person repeatedly spends significant amounts of time trying to get the drug, using the drug, or recovering from its use. The person has repeated cravings to use the drug. The person repeatedly uses psilocybin in conjunction with other drugs of abuse. Specific statistics regarding the use or abuse of psychedelic mushrooms in the United States are unavailable. Government organizations that track drug use will most often report figures regarding the use of the entire group of hallucinogenic drugs as opposed to concentrating on single drugs in the category. The Substance Abuse and Mental Health Services Administration (SAMHSA) has released figures on overall hallucinogen use. About 1.2 million people over 12 years of age admitted to current hallucinogenic use in the year 2014. This figure has remained relatively stable compared to other surveys conducted in the years 2002-2013. Hallucinogenic use is not popular as the reported figures represent less than 1 percent of the population of individuals 12 years old and above (about 0.4 percent). In the year 2014, about 0.5 percent of adolescents, ages 12-17, surveyed said that they currently used hallucinogenic drugs. This is relatively consistent with the overall figures of use. The rates of adolescents reporting hallucinogenic drug use have been relatively stable between the years 2012 and 2014, and they are lower than the rates reported between the years 2002 and 2011. Young people who had been diagnosed with clinical depression were more likely to use hallucinogenic drugs. Magic mushrooms are not the most popular hallucinogenic drug used by adolescents. The most popular hallucinogenic drugs used by adolescents are LSD and ecstasy. Because individuals who abuse psilocybin will most likely not display the signs of physical dependence and will not undergo serious withdrawal symptoms, many of these individuals will not require a formal withdrawal management program associated with abuse of psilocybin. However, some individuals may have severe psychological reactions to discontinuing psilocybin, and these individuals may need medically assisted treatments to curb some of these symptoms. Individuals can benefit from an initial period of inpatient treatment for psilocybin abuse, or they can be treated on an outpatient basis. The choice to spend a period of time in an inpatient unit before transitioning to outpatient treatment is made on a case-by-case basis. Some individuals may need to isolate themselves from potentially toxic situations that may increase their probability for relapse or may need to isolate themselves from other influences that may increase their tendency to relapse in the early stages of treatment. These individuals may be better off initially participating in an inpatient program and then transitioning to outpatient treatment. 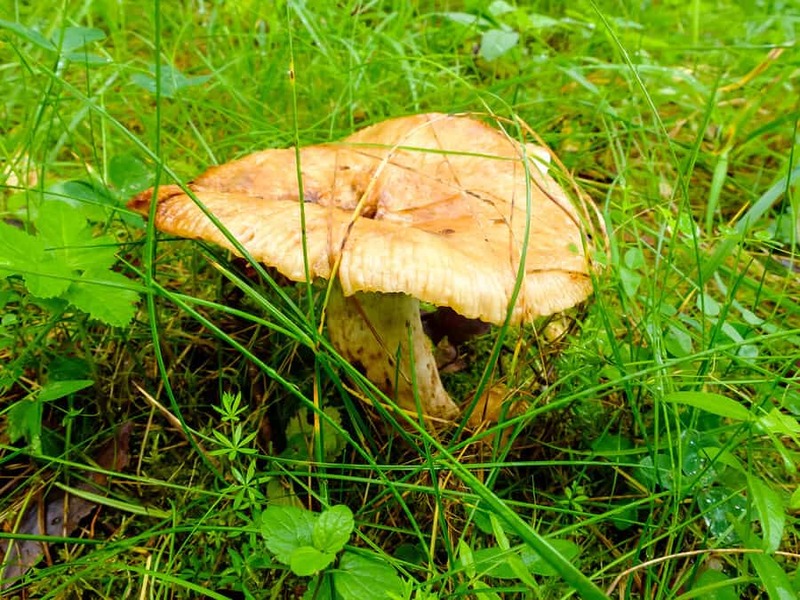 Treatment for psilocybin abuse would rely heavily on the use of therapy (either individual, group, or both), social support (in the form of support from family members, peer support, and/or participation in social support groups such as 12-Step groups), co-occurring treatment of any other mental health disorders that the individual may have (e.g., depression, anxiety disorder, etc. ), and other specific types of interventions that are appropriate for the individual’s case.In general, individuals in substance use disorder therapy will need to remain in therapy long enough to develop skills that can help them to resist the temptation to relapse, develop an understanding of the factors that drove their use of psilocybin or other drugs, and have maintained a significant time of sobriety or abstinence. Participation in social support groups often continues for extended periods of time and may continue for years after an individual has completed their formal treatment program. It is also not unusual for individuals to reenter therapy at a later time if they experience difficulties that they need assistance with. It is extremely important that anyone with any substance use disorder receive professional formal treatment for their disorder. Attempting to quit without professional treatment is most often unsuccessful.